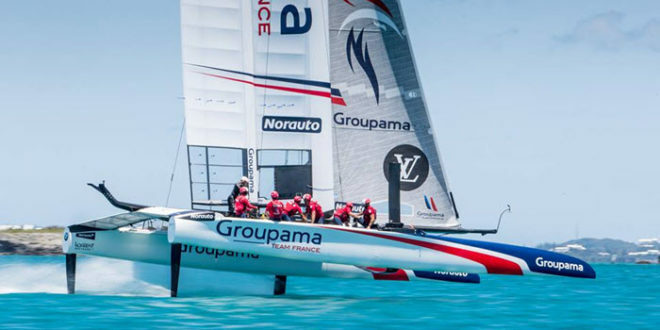 Team France, formed in December 2013 for the 35th America’s Cup in Bermuda, announced they do not have the funding to challenge again for the next edition in 2021. “There is still much to be done in France to convince the decision makers that this trophy – the most coveted in the world sailing and whose regattas are followed by a large audience – is a great opportunity to highlight sports performances and French technological expertise,” said Frank Cammas, who skippered for the team in the 2017 Cup. The TEAM FRANCE project is a long-term project and will therefore continue the mission defined at its launch with the creation of the “Filières d’Excellence”. The goal is to develop and promote French excellence in sports and technology, to win the international sailing competitions in crew, including the next America’s Cup and that, being present from the 37th AC. “The experience and knowledge accumulated at the 35th AC is a solid foundation on which TEAM FRANCE will rely to prepare its participation in the 37th AC and to bring together the best sporting and technical skills in order to be operational early 2021,” added Cammas.